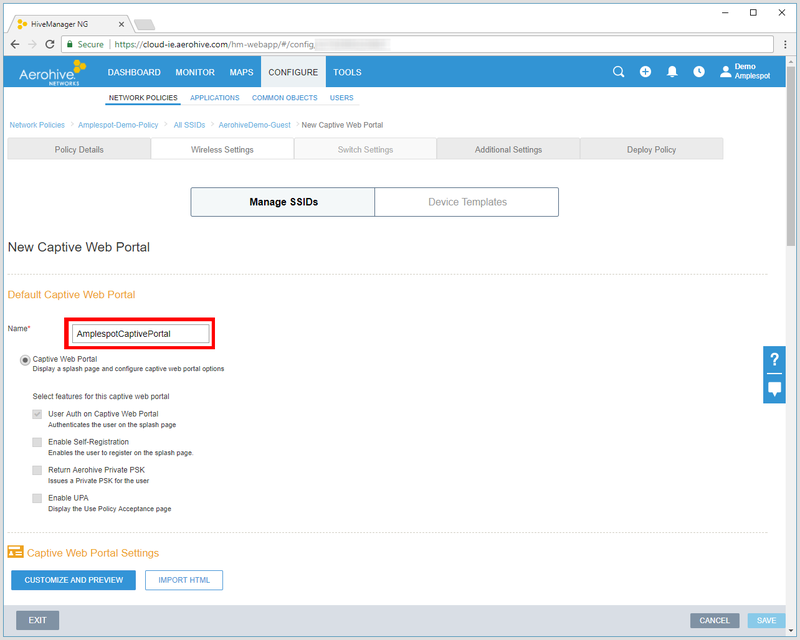 This guide shows how to configure an Aerohive Networks HiveManager NG in order to use it as External Splash Page provider with Amplespot. 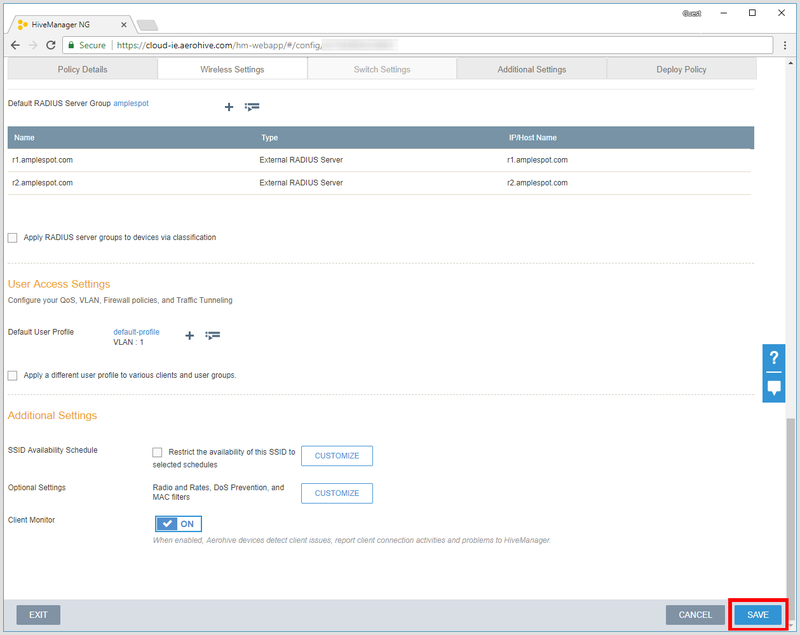 Head to your Amplespot Dashboard and if you haven't already, create a Captive Portal Zone for your Access Points. 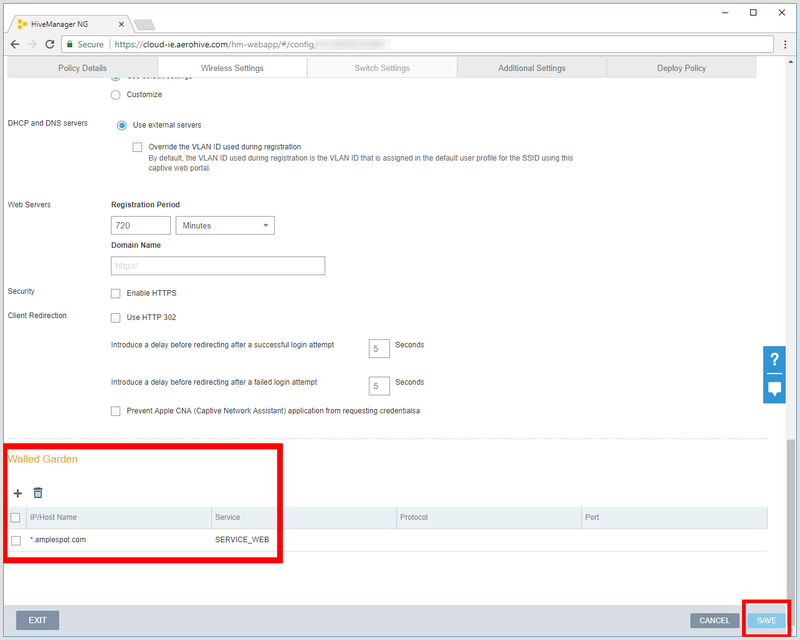 Or you can use the default Zone that was created automatically and change the settings later. 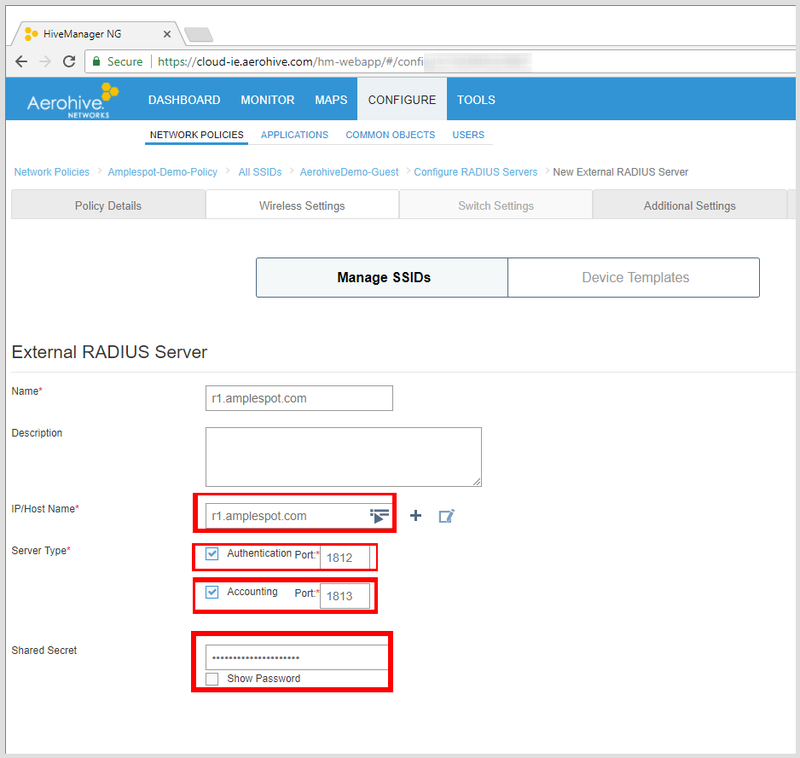 Once you created all necessary Zones, note the MAC Address(es) of your Aerohive Access Points together with their names. 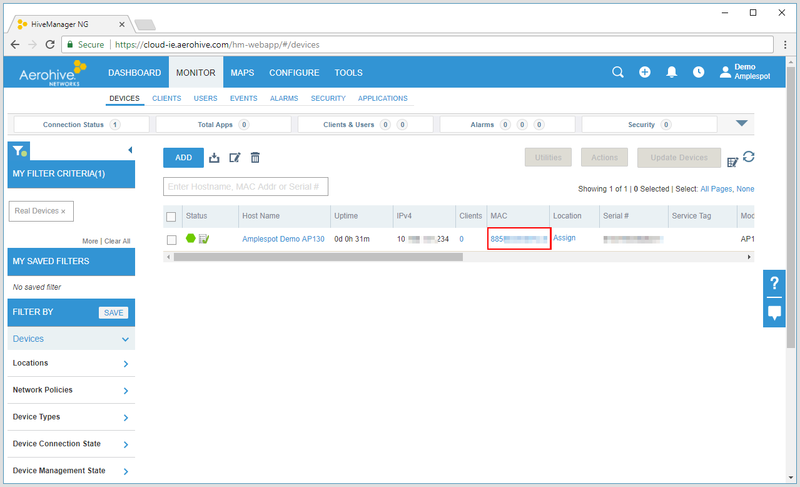 You can find the MAC addresses in the MONITOR tab of your HiveManager account. 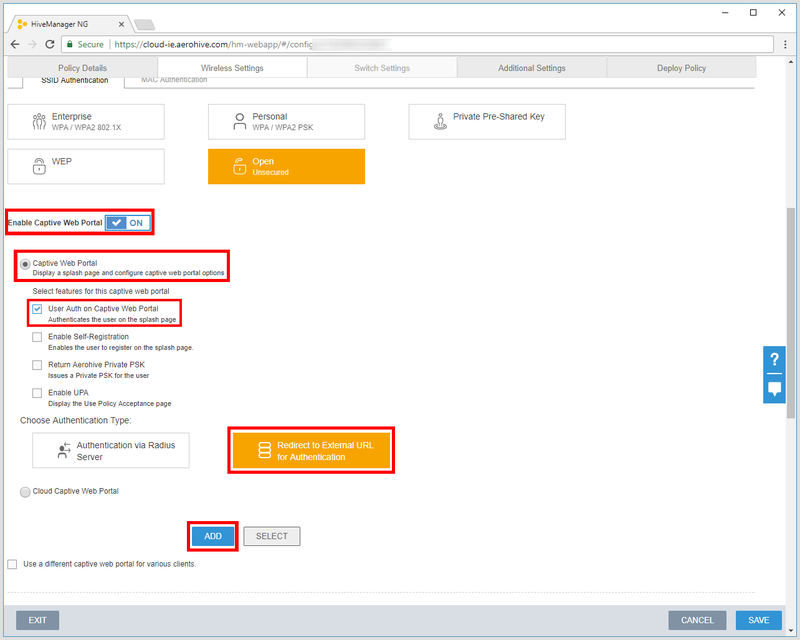 Select the Access Point's make and model, type in MAC Address and Name, Select the Country and the Captive Portal Zone where you would like to add this Access Point. You will be able to move your access point to other Zones later. 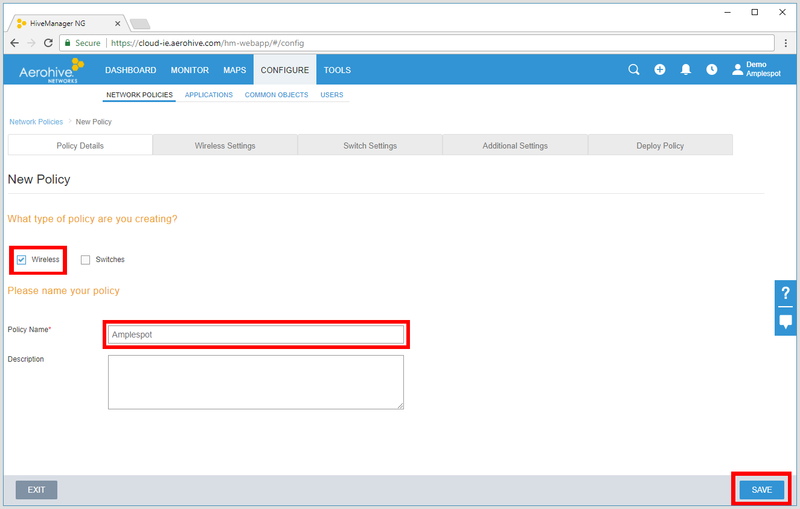 Make sure that the name of the SSID used by the Captive Portal Zone you are selecting exactly corresponds to the name of SSID configured on Aerohive. 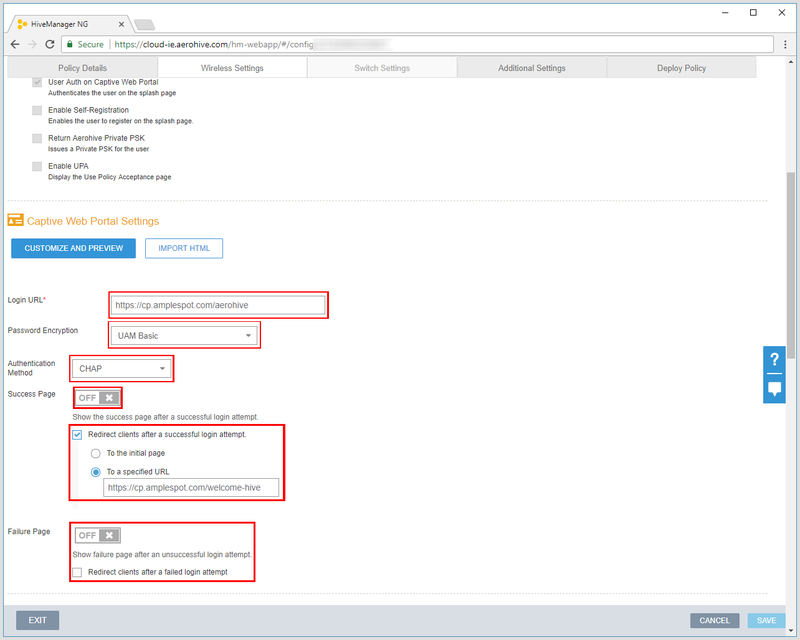 Repeat this step for all Access Points you want to use with Amplespot. 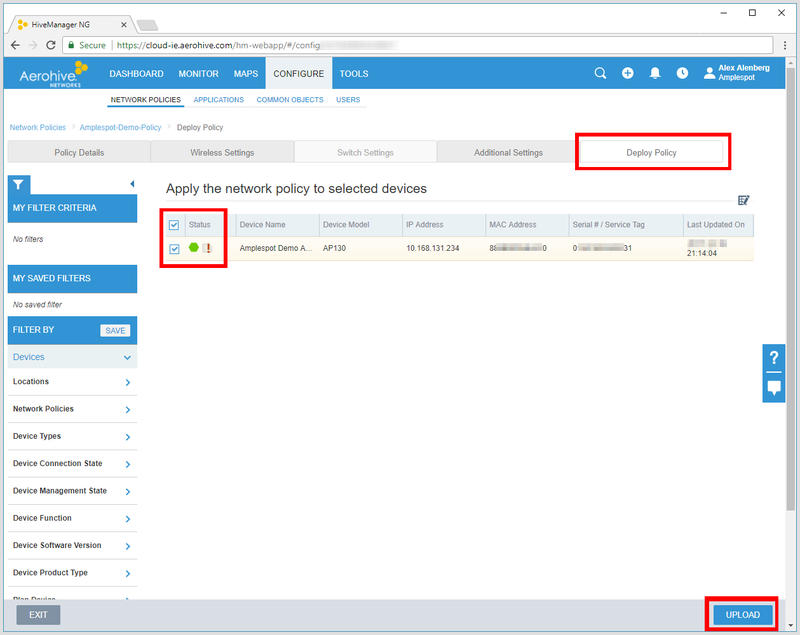 In order to create a new configuration, log in to HiveManager web interface, select the CONFIGURE tab and then click New Network Policy. 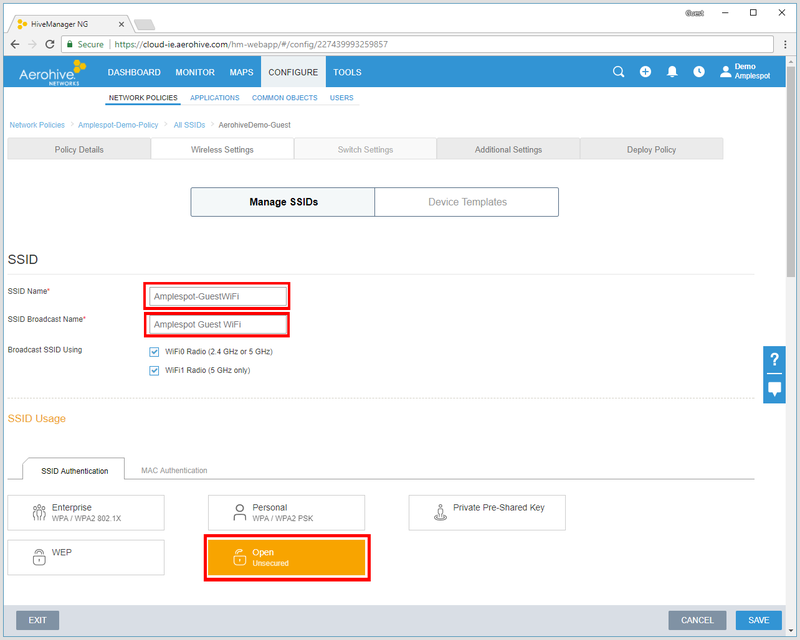 Scroll down to the very bottom of the page and add Walled Garden. 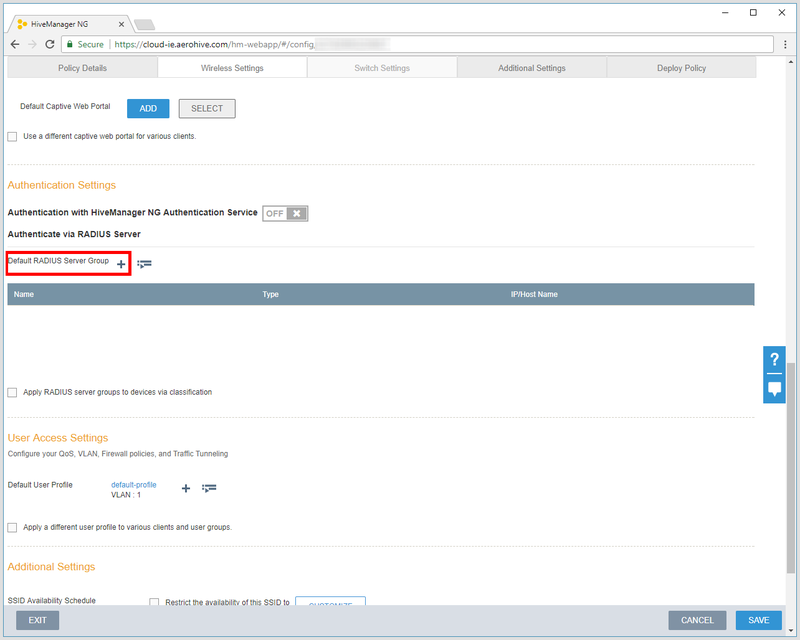 You can find the list of Walled Garden domains for Amplespot Captive Portal as well as for Social Logins in this documentation article. Please note this list might change from time to time as third-parties (Google, Facebook etc) may update their services. 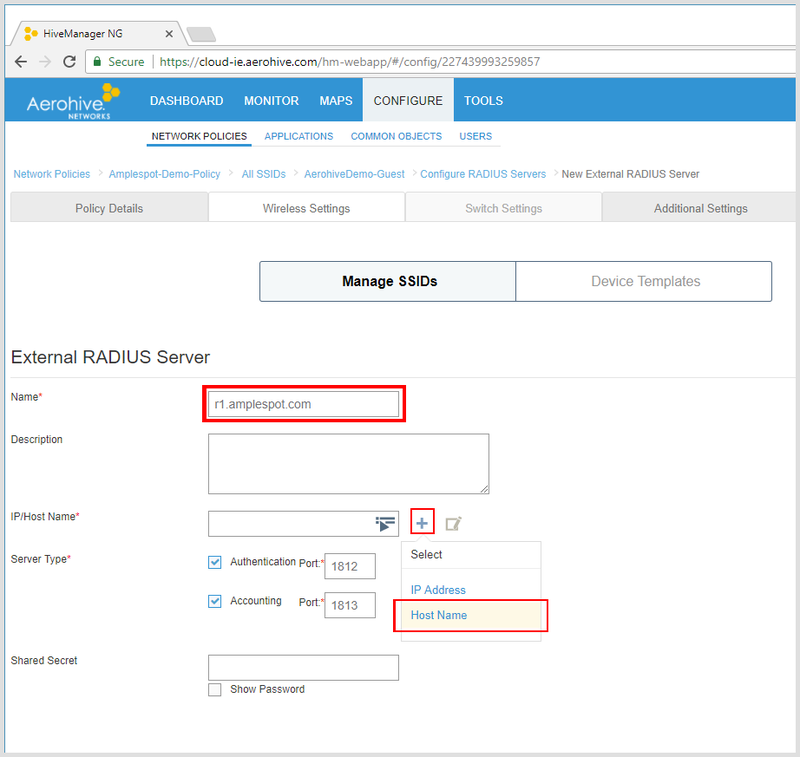 Scroll down the page to Authentication Settings and click on + sign next to Default RADIUS Server Group to create a new RADIUS server group. 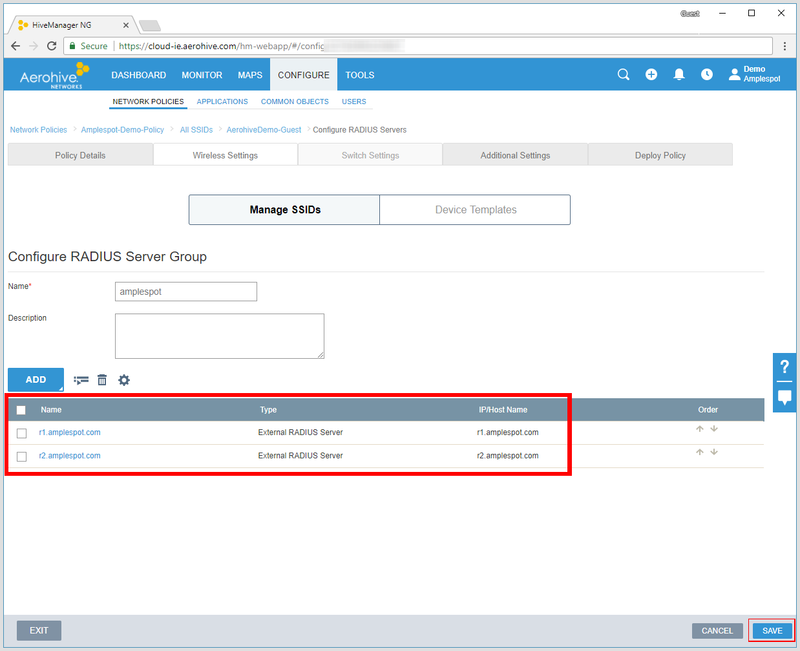 Click Save again and you will be presented with the following RADIUS Server Group summary page. 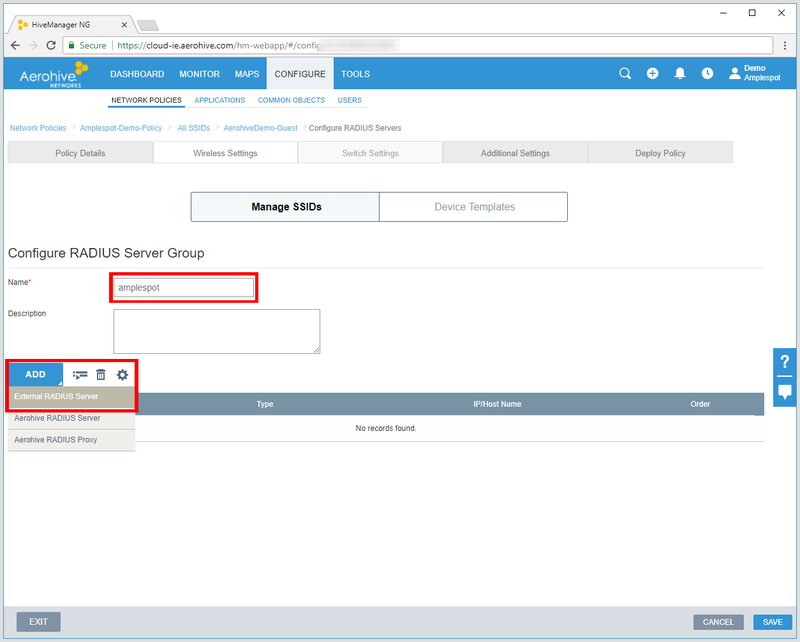 You will be back to your Policy summary page. Save the policy. 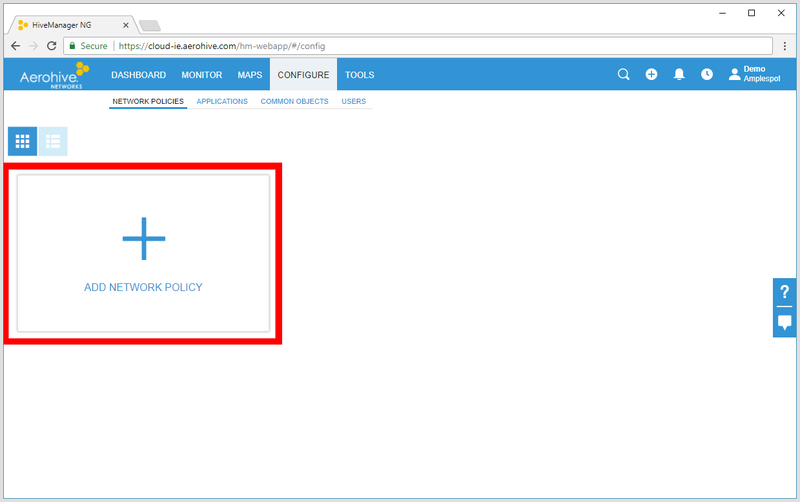 Click Deploy Policy at the top of the page, select your devices and upload the policy. You are finally done! 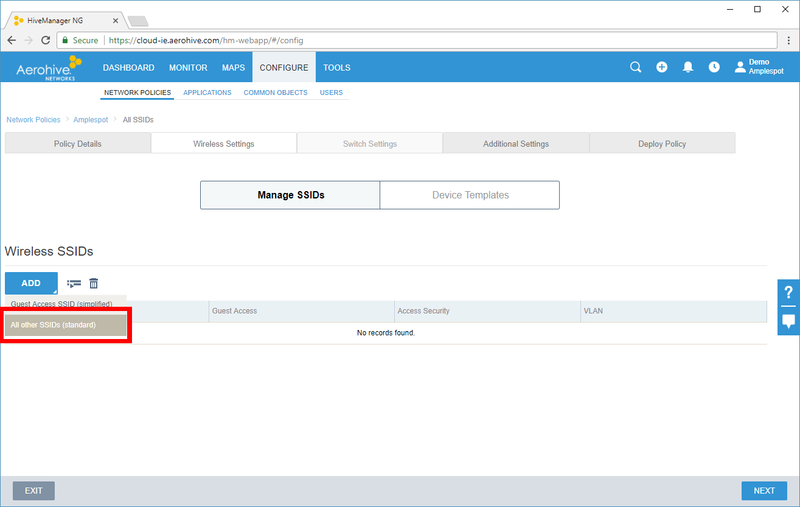 Test by connecting to your SSID!